It's patch Tuesday once again so make sure you have the latest patches installed in your PC. There are a total of 24 updates with 11 Security bulletins. These updates are for Windows,Office and IE. 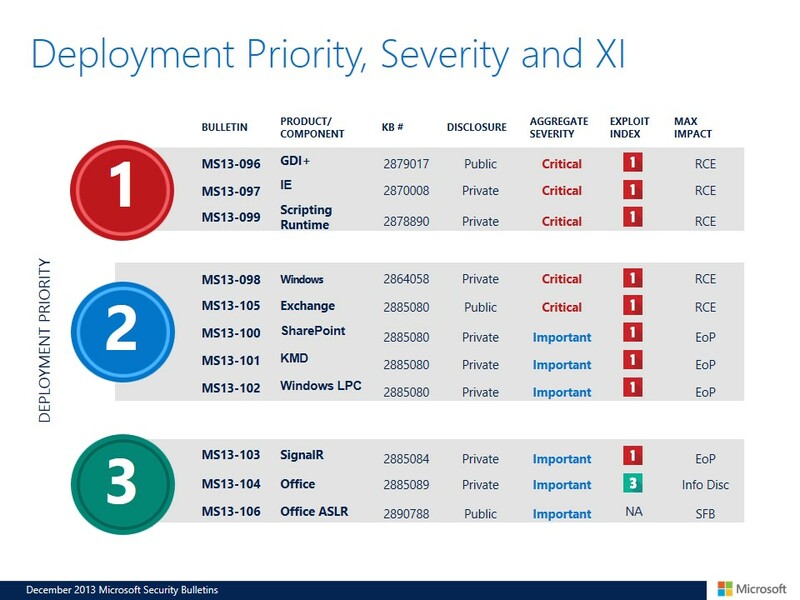 Microsoft released a image which shows the severity of the vulnerabilities present in different software. Make sure that you install these patches as soon as possible. And if you are using Windows XP, you can be better off by upgrading to Windows 7 or Windows 8.1.The star of the month is MS13-096, the bulletin that's supposed to address a vulnerability found in Windows and which would allow an attacker to gain control of an unpatched computer due to the way TIFF files are managed by the operating system. I was waiting for this update to be released from the time i read about this vulnerability on Microsoft Security Tech Center. Finally installed these updates.